Bumperboy in front of Mt. 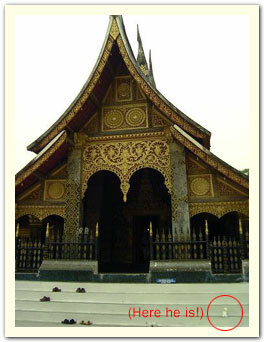 Phousi in Luang Prabang. April 2004. 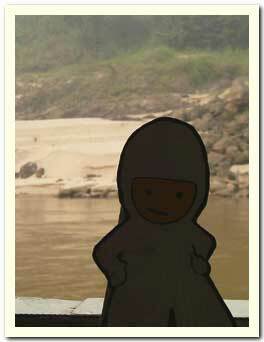 Photo taken by Molly S.
Bumperboy on the Thai side of the Laos/Thai border with the Mekong River in the background. 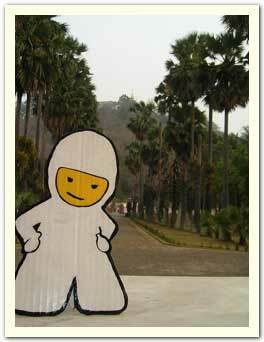 Here is Bumperboy, dwarfed by the Wat Xieng Thong temple in Luang Prabang.